Aurora and her family lived in low-income housing in Northern California until her husband was promoted and received a raise. With the extra income, their family no longer qualified for their reduced-rent apartment and they had to quickly find a new place to live. 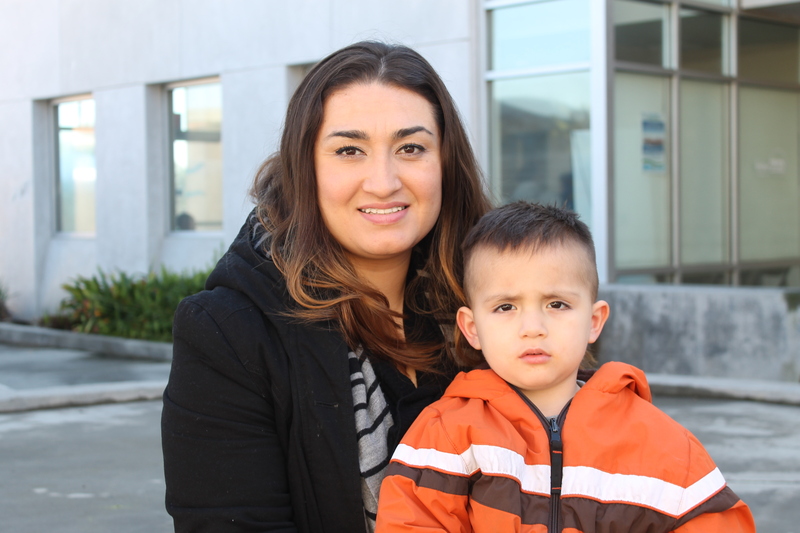 While finding an apartment for their family of six became increasingly difficult, Aurora and her husband thought they might have better luck in Southern California, where they would also be closer to their extended families. However, finding an affordable place to live in San Diego proved just as, if not more, difficult. The family moved into a hotel room, draining their savings in nearly a month and a half while they continued to look for a place to call home. After moving in with friends, Aurora began seeking local food distributions to supplement her family’s groceries; one of the food distribution locations she visited happened to be at Interfaith. “From the beginning, Interfaith was a blessing,” said Aurora. After connecting with Interfaith’s coastal office for nutritional support, Aurora linked up with the employment services team to fine tune her resume and look for job leads. Shortly after, she was connected with a part-time after-school day care job, as well as another part-time position as a seamstress. Aurora and her family were also surprised this past holiday season when her case manager nominated them to be a part of the Holiday Adopt-a-Family program. Thanks to Interfaith’s generous donors, each of her four children received gifts including art supplies, clothing, blankets and toys. “Just seeing their smiles and the little sparkles in their eyes when they woke up on Christmas morning – it was all just so beautiful,” said Aurora. Aurora and her family now happily live in Vista and are settling into their lives in North County. Thanks to the nature of her two part-time jobs, Aurora is able to spend time with her kids while supporting her family financially. If you would like to support the Carlsbad Service Center and clients like Aurora, please contact Robert Adams, Chief Development Officer, at (760) 489-6380 ext. 206.